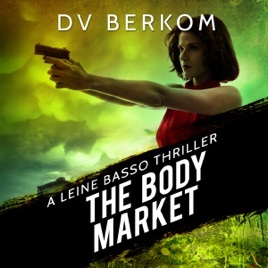 Book number three in the action-packed Leine Basso crime thriller series from best-selling author DV Berkom. A bonus short story, Privilege, is included. Former assassin Leine Basso is hired by a wealthy Beverly Hills power couple to find their missing daughter, Elise, last seen partying with her boyfriend at a club in Tijuana. At first, police believe the two teenagers are the victims of a carjacking. But when Leine finds their missing vehicle with the boyfriend's mutilated body inside, and the local cartel warns her away, she knows if Elise isn't already dead, she will be soon, or worse. In the lethal world of organized crime, there's always a worse. As Leine races to uncover the reason behind Elise Bennett's disappearance, she must also battle the powerful interests fighting to keep her from the truth.